Enjoy the details that make the subtle difference between a place to live and a place to call home. Modern residences await you at Greentree Apartments. 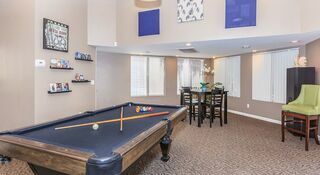 Residents enjoy a wide array of superb community amenities... take advantage of our resort-style swimming pool and soothing spa, picnic area with barbecue, state-of-the-art fitness center, business center with high-speed internet access, private clubhouse, billiards table and more! Pet Policy: We welcome 2 pets per apartment home. Please call our leasing office for our complete pet policy. Parking Comment: One covered parking per unit with nominal parking maintenance fee of $10. Please call our leasing office for our parking policy.